Haining, a city in the eastern province of Zhejiang, has welcomed its first international five-star hotel with the opening of a new Langham Place hotel. Known as China’s “Leather Town”, Haining is another example of a rapidly developing third-tier city. According to Robert Warman, CEO of Langham Hospitality Group, the city has huge potential, with a “prosperous economy and inspiring development plans”. Centrally located in the business district, Langham Place, Haining is part of an integrated complex comprising a shopping centre, commercial offices and high-end serviced apartments. It is a 90-minute drive from Shanghai Hongqiao International Airport and railway station, or one hour to the Hanzhou Xiaoshan International Airport. 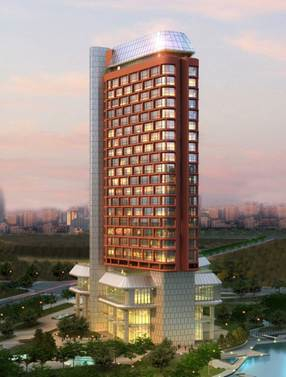 “We are delighted to introduce the Langham Place hotel to the rapidly growing city of Haining”, said Warman. “Together with the developer, Mingly Real Estate Corporation, we are committed to creating a luxury hotel and sophisticated lifestyle destination that will be the centre piece of this exciting new urban development”. The hotel offers 263 guestrooms and suites, with eight different room types. 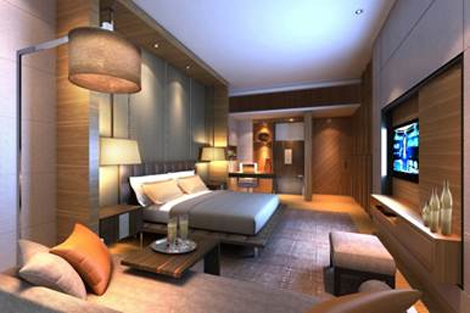 All rooms will feature the Langham’s signature “Blissful Beds” and Chuan Spa bath amenities. One new feature is the addition of an entire floor exclusively for female guests – the first hotel in the city to offer this. 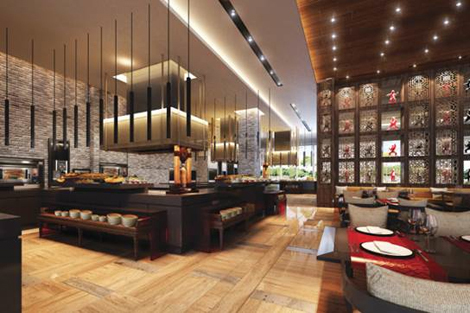 There are three dining options, plus a Lobby Lounge. All-day dining is available at The Place; modern Cantonese cuisine is available at the signature Ming Court restaurant, or guests can relax in The Salon with glass windows looking onto a large patio and outdoor garden. Intending to become the city’s premier destination for business conference and social events, the hotel has over 3,000 sqm of function space, from a 1,100sqm pillar-free ballroom to eight multifunction rooms. Chuan Spa with six private treatment rooms, indoor swimming pool and fitness centre are available for health and wellbeing.